Recently Indian Govt announced the mandatory statutory warning on the cigarette packet with graphical inputs. I liked this move as to support the illiterate population of India who could not read the labels before. Now they could see the self explanatory pics and warn themselves. Suddenly a deeper thought came in, do these illiterate smoke these cigarettes or they rely more on hand rolled smoking leaves or beedi as they are called here. I checked the Beedi labels and was not surprised to find any such warnings there. The survey has shown no decrease in the use of cigarettes after the new act was introduced; rather an increase in more intakes by more young population shows the uptrend. But Government of India has done a marvelous job of introducing the pictorial warnings and slept off. I also know about the survey which says that the smoking ban has reduced the health problems, Air pollution near the vicinity of ban and decreased sell of tobacco products by 10-20%. It was soon followed by, the smoking ban in office premises. Which also is as flattery as it can be? Just visualize this, earlier you used to blow the smoke out to the atmosphere from your office rooftop, now you do the same from the roadside. The amount of monoxide going to the atmosphere is same as before. It does not matter where it comes from the office toilets or from the car. The Earth does not care about the source. I agree that passive smokers can have an excuse for not accompanying till the office gate. But when its business, friendship, you cannot ignore. Passive smoking continues. Irony has it by its horns. You cannot smoke in office, you cannot smoke in public places, but you can smoke in your home, in the car. You can smoke while driving too! A better way is to pull over your car, ask the traffic cop for the lights, say thanks you and drive off while you puff. Smoking by definition means carrying or in possession of any lit tobacco product. This ban looks good for restrictions which include risk of fire in areas with explosive hazards; cleanliness in places where food, pharmaceuticals, semiconductors, or precision instruments and machinery are produced. But a ban in lawyer’s office, a ban in IT office premises looks clown’s decisions. But no wonder this country is full of them and at political posts. 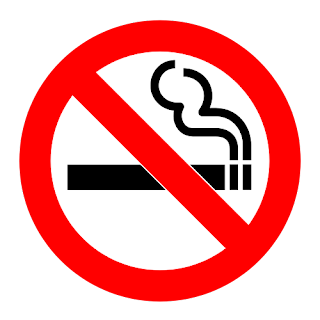 Bhutan, a tiny country which counts its growth in terms of GNH (Gross national happiness) is the only country where there is Ban on cigarettes. It means you cannot buy/sell/manufacture the tobacco products in Bhutan. If the govt is really serious on the health of the citizens, it should follow footsteps of Bhutan.